Debt funds have exposure of nearly Rs 8,000 crore to Zee group papers. Aditya Birla MF, HDFC MF, Franklin Templeton MF, and ICICI Prudential MF have the highest exposure, reports Samie Modak. Public shareholders, including mutual funds and foreign portfolio investors, have been hit hard by the crash in stock prices of Zee group companies. Panicked MFs met with the officials of the beleaguered group to take stock of the situation, said sources. Domestic fund houses have high exposure to the group companies both on the equity as well as debt side. Flagship group company Zee Entertainment Enterprises, part of the benchmark Nifty index, has MF equity holding of Rs 1,850 crore, while FPI holding of over Rs 12,700 crore, an analysis of shareholding data shows. More importantly, debt MFs have exposure of nearly Rs 8,000 crore to Zee group papers. The investments have landed in a tricky spot after nearly a third of the value of the stock evaporated on Friday. 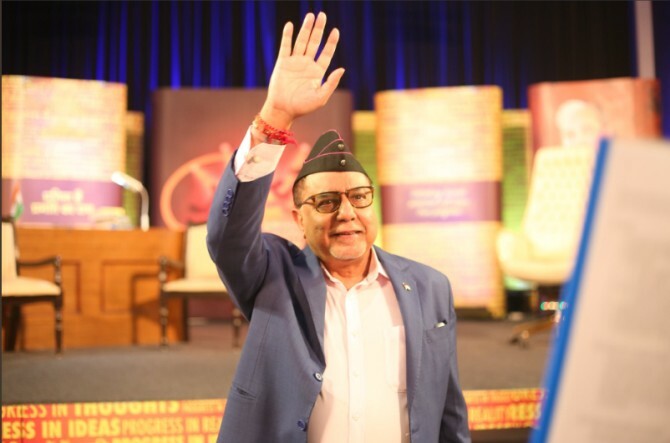 The woes got worsened after Zee group Chairman Subhash Chandra, in an open letter, expressed difficulties in repaying its lenders amid a sharp sell-off in the seven listed firms belonging to the Zee group. “I am compelled to apologise to our bankers, NBFCs and mutual funds, since I believe that I have not lived up to their expectations, despite the best of my intentions,” Chandra wrote in the letter. Immediately after the letter, MFs sought a meeting with Zee group. Sources said Zee group officials met with analysts and investors, including MFs, over the weekend to discuss the turmoil. Debt funds have exposure of nearly Rs 8,000 crore to Zee group papers. Aditya Birla MF, HDFC MF, Franklin Templeton MF, and ICICI Prudential MF have the highest exposure. Sources say Aditya Birla MF has the highest exposure worth Rs 1,500 crore. Other aforementioned fund houses also have exposure of more than Rs 500 crore each. Zee group holdings in many debt schemes are more than 10 per cent of the corpus. Sources say most of this exposure is in the form of loan against share. “While the debt exposure is indeed high, it is in the form of loan against share. In case the group is not able to repay, we have to option to invoke and sell the shares. As of now the cover is sufficient, however, if the group stock tumble further, it could lead to a problem,” said another fund manager. According to BSE website, Rs 7,580 crore worth of Zee Entertainment have been pledged. This is nearly 60 per cent of the value of promoter’s stake. The 32 per cent fall in the stock price led to creation of fresh pledges on Friday, exchange data showed. “Post the price fall on Friday, the total market value of promoter holdings has equalled its pledge cover as on December 18,” said CLSA in a note. “Essel Group has high pledging across group companies. Zee’s CEO said the group is working on selling three infra assets (one deal is almost done) and deals are expected to realise Rs 20,000 of enterprise value and Rs 8,000 crore of equity value which will drive deleveraging at the group level,” the note added. Other group companies -- Dish TV India, Zee Media, and Zee Learn -- also have high promoter pledging with either MFs or non-banking financial companies. Shares of these companies fell between 10 per cent and 33 per cent in Friday’s trade. “The letter by the group chairman, clearly indicates that the group is under strain. This could trigger fresh round of selling in the stock on Monday. If MFs and NBFCs start selling the pledged shares, it will further add to pressure,” said an analyst. Chandra said on late Sunday evening the group had reached an agreement with lenders, including MFs, not invoking the pledge on promoter shares. Lenders drew comfort from reiteration by the promoters for a speedy resolution through a strategic sale in a time-bound manner. Typically, lenders keep a cover of 1.5-2 times while pledging shares. In other words, they disburse Rs 100 for every Rs 150-Rs 200 worth of shares pledged. If the value of the pledged shares falls, lenders either liquidate their holdings or ask for more shares from the promoters. On the equity side, besides exchange traded funds (ETFs), schemes from ICICI Prudential MF, Aditya Birla MF and Mirae MF have exposure to Zee Entertainment stock. However, in most cases the exposure is less than a per cent of the schemes total corpus. The Subhash Chandra-led Essel Group on Sunday said it had reached an agreement with lenders on servicing its debt. The move came following fears of a likely invocation of pledged shares by lenders on Monday after a steep fall in the stock price of Zee Entertainment Enterprises and DishTV, both key firms of the Essel Group, on Friday. The agreement includes lenders, comprising banks, mutual funds, and NBFC firms, not invoking their pledge on promoter shares of ZEEL, DishTV, and other listed group firms, which had been pledged for the loans promoters had taken for their privately owned infrastructure firms. In November, ZEEL had said it was looking to offload half of the promoter stake of 41 per cent in the company to a strategic investor. While the process has been opened to domestic investors too, Friday’s fall will see Chandra and his family walking away with a smaller payout for their stake, analysts said. The crash was triggered following a report in The Wire claiming there was a link between Essel Group and a company currently being investigated by the Serious Fraud Investigation Office (SFIO). This was for deposits of over Rs 3,000 crore made around November-December 2016, just after demonetisation was announced on November 8, 2016. What is Subhash Chandra's Rs 22,535-cr Essel group up to?